Back when I started this project, I was thinking what the heck, writing a few short stories will keep me fresh, let me try things I might not try otherwise, act as a sketch book of my story ideas: the funny, the weird, the scary, the sappy, and sometimes all of that mashed up together. Well, two years later, I had no idea how proud I would be of this body of work, and how genuinely psyched I am to be sharing these stories with you in this format. Going through these again for production, I felt like a proud papa, gathering up all my little babies, or like I was collecting a bag of gems. Wow, I just wrote “bag of gems” in all seriousness, like it’s a totally everyday phrase, like I might find myself out on horseback in some medieval European country and have the need to reach into my little leather sack for a gem to purchase an entire village. Optimistic scifi - get yours here! There is no one writing scifi as well as Rob Dircks right now, and this short story collection proves it. I listened to all of these stories when they originally came out on his podcast, and was blown away every time by the quality of his writing and his mastery of the short story form. He knows the tropes and how to subvert them. He can build a world in a few paragraphs so that you understand it intuitively. He creates characters that are uniquely relatable and gosh darn it, he's funny to boot. That is when he is not making me tear up. Add to all that the fact that he does a terrific job narrating his own stories and you have a very appealing package. But now that I have been able to re-listen to all the stories again via this collection, hearing them all together rather than strung out over a series of months, I perceived something I had not noticed before. Something that unites not only these stories but also his novels. Something special that only Rob Dircks can deliver. It's a sweetness, a love of life and humanity, that shines through all of his characters and all of his imaginary worlds. I feel instantly better when I finish something he has written, I feel uplifted and hopeful. What a wonderful gift Rob has to allow us to see the good in one another, and how lucky we are that he is sharing it with us through his art. Can't wait for the next collection. never want them to end. 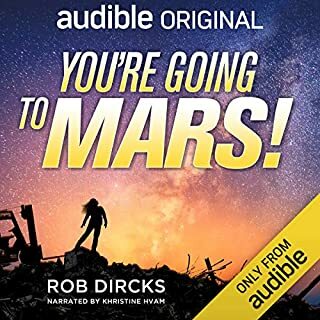 man I just love Rob's writing and narration. so many great stories and ideas oh, I can't wait for the next full book. I love Twilight Zone and Dark Matter. But this is different and a welcome addition. Dircks has a much more fun and sometimes softer style, but he doesn’t lose that mind-bending twist and turn feeling. Really well done. Narration and overall audio packaging is solid. Great series of listens for short trips. 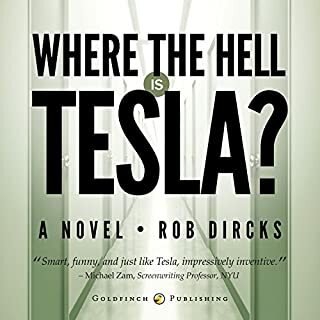 Knowing how much I've enjoyed delving into Rob Dircks mind scratching and humorous novels, I was psyched to discover this collection of short stories - all less than a half hour. They're perfect for when I'm waiting at the doctor's office or on a shorter car ride. I was a big fan of the TV series, The Twilight Zone and these have that same feel, leaving me with something to chew on for a while. One of my favorite stories was Dako - a bit of a mind twister with a lot of heart. Totally worth the purchase! 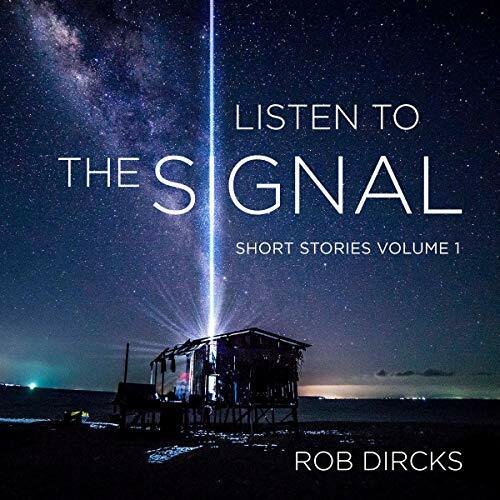 I need more Rob Dircks short stories! This was a great collection of 16 short stories that are reminiscent of The Twilight Zone or Black Mirror. There is little commentary for each one which really helps set up each segment. I like Rob’s advice on reading these in between other books or in between whatever tasks you were doing. I guess I’ll write little comments on each story to help me remember them all and help me try and figure out which one I like best. 3. End Game – This story was a lot of fun. I got so looped into the story, mentally, that I kind of forgot what I was doing. I was sad that it ended the way it ended… I wanted more! 4. November 8, 2016 – This one was great. I felt like it could have been a partially true story and I wished it was a partially true story. But it was also sad and felt very realistic. I didn’t want this one to end either! 5. Quick Fix – I did not like this one as much as the previous ones. It was a little weird and just wasn’t as ‘catchy’ and fun as the other short stories. 7. Purgatory – this was a nice and conclusive story. It was short and fun and had a bit of a feel-good touch at the end! (which should probably be in a spoiler tag… oh well). 9. Tick Tick Tick – Gross. Disturbing. Creepy. Awesome. Those are my thoughts on that short story. 10. Rose – this was like a Benjamin Button love story, but much better than the movie (and, of course, hours shorter). I liked it. (I suppose that could be a bit of a spoiler…. Oh well). 11. Red Parka – this one was cool. It was a nice story and just kind of fun to where I can see this one expanding to a larger story. 12. Bloop – fun sound effects, and fun playing off sci-fi conspiracies. This is another one that could go much further. Though, I didn’t like the ending. I needed more! 13. Their DNA Was No Longer the Same – this was a fun take on the Kelly astronaut twins. It went a little fast, but it could definitely have been turned into a novella with some dark deep mystery thrown in there. 14. The Last One – I did not like this one as much as the others. I like the ‘epilogue’ section at the back as it gave a good/short backstory on to why the story was written. 15. Mister Personality – when we reach singularity (a new word I learned today), I want Rob Dircks to be appointed as Mr. Personality. This was a fun story and I can see it being realistic (maybe in 50 years). 16. Christmas in Silver Peak – I felt like this one had huge potential, but it didn’t play out for me. Either I may have been a little confused or just didn’t fully enjoy it. The sound effects are nice, and I like the intro/outro music. Rob is great at reading his own stuff. The only thing that would make me move my rating from a 4.5 to a 5 would be just a little more variation between the voices (when voicing multiple characters). I received this book in exchange for an honest review. Thanks Rob! And keep up the great work! I look forward to more and more stories. 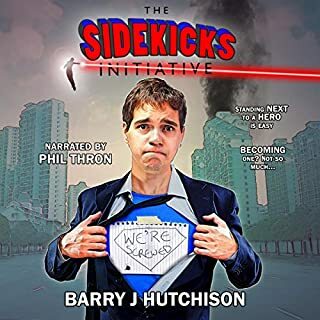 This is a great selection of short stories written by one of my favorite sci-fi/comedy authors, Rob Dircks. As a bonus, he also narrates the audio version. 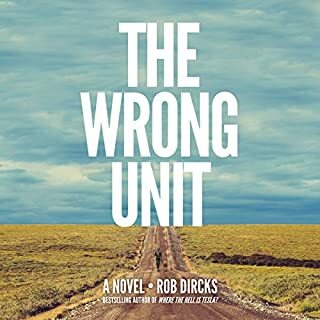 In some cases, an author reading his own work can seriously be all kinds of tragic, but with Rob Dircks, he knows exactly the timing and snark to add to enhance the stories. I have yet to read anything written by Rob Dircks that wasn't wildly enjoyable and didn't take itself too seriously. 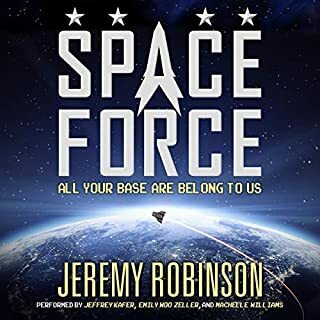 I certainly hope more volumes of these cool little stories are on their way soon, because I can't wait to geek out on every single one of them. Awesome, so much fun! I loved every story!! Loved it, highly recommended to anyone who loves a good story. 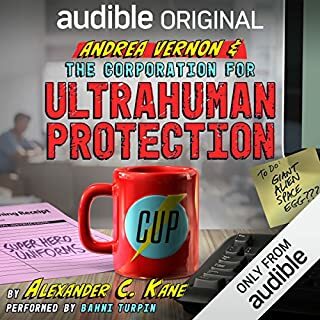 Audio was excellent and fun to listen to, completely kept my attention the entire book! loved these stories! definitely kept me entertained! you must check out ALL of his books!! This is probably the perfect road trip listen. You get small digestible stories to help pass the time, but almost all of the stories are built around a bigger question. This bigger question leaves you and your stinky car-mates with something to talk about while getting another bladder buster and sack of Twizzlers at the Gulp n' Go. This is a great collection of short stories. Every one different and very entertaining. Rob is also a great reader.